This past Sunday saw Pittsburgh Steelers wide receiver JuJu Smith-Schuster put up a 97-yard touchdown catch against the Denver Broncos. He’s the only player to have scored from 97-plus yards out since the start of the 2017 season. 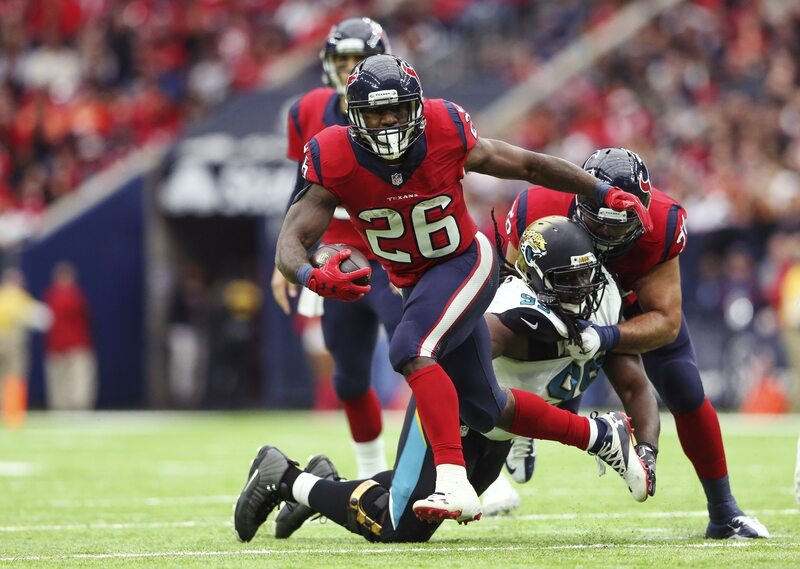 That’s until Houston Texans running back Lamar Miller had something to say about it on Monday Night Football against the Tennessee Titans. With Houston leading 14-10 and after the Titans had missed a fourth-and-1 opportunity inside the Texans five-yard line, the home team was attempting to simply gain the some yards. Instead, Miller took the hand off from Deshaun Watson and torched Tennessee’s defense on this 97-yard touchdown run. Miller broke at least two tackles before he turned on the jets and absolutely flew into the end zone. The veteran back had already put up 51 yards on five attempts at that point. This gave him 148 yards on six attempts for an average of 24.7 yards per. That’s just insane stuff right there.